Time for a little backstory on the Wacky Weekend. 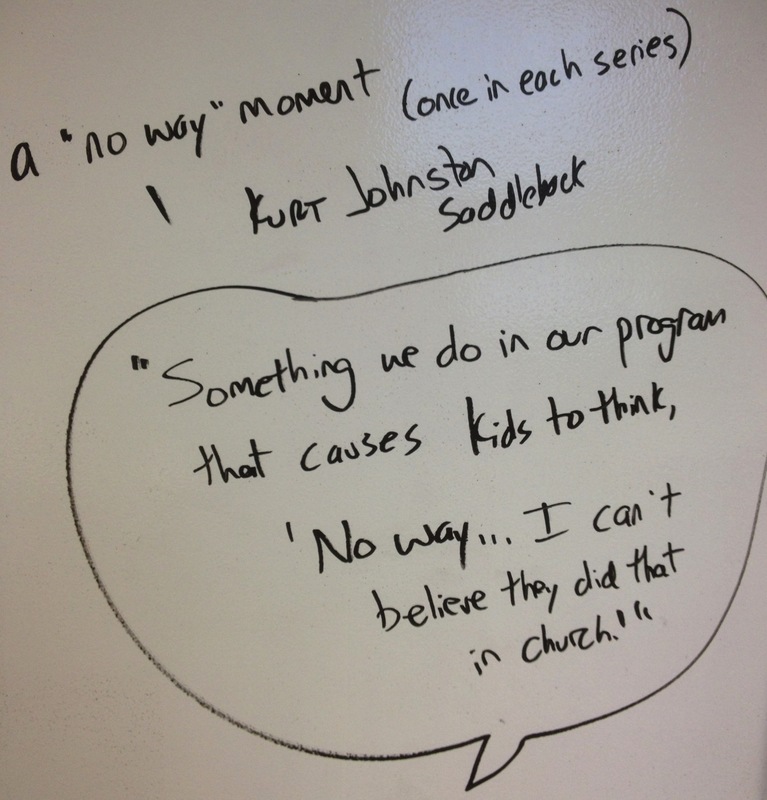 I observed a phenomenon in student ministry. There are certain weekends where some people travel and are out of town due to a holiday, extra day off of school, good weather, or any number of other reasons. On those weekends, attendance is usually down. I had wrongly assumed that a large number of families in our community all took off on these weekends. That’s when I came across this article in a blog by my friend Kurt Johnston, who is also a junior high pastor. And then I read a newer, related post Kurt had made. There was some really good stuff here! 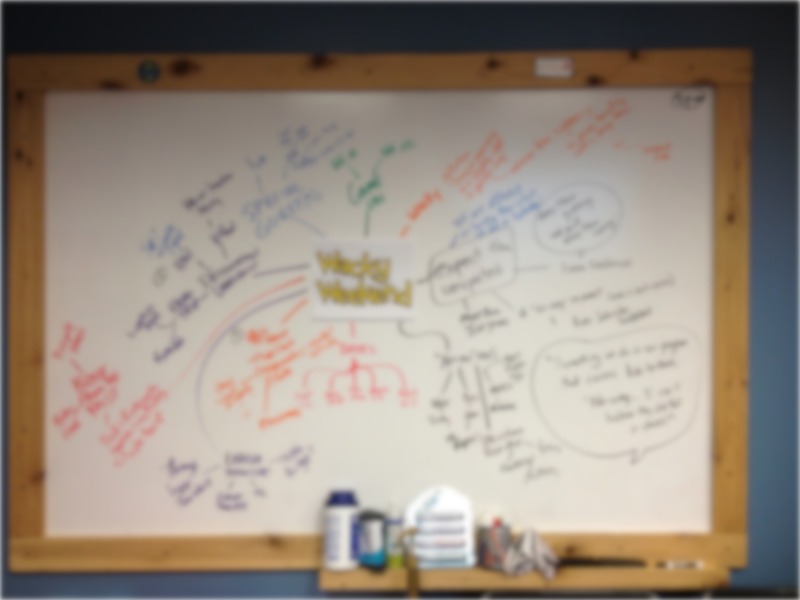 Kurt sparked a brainstorm in me that erupted onto my office wall. And then I started to think about Apple. (The technology company based in Cupertino, California. Not the fruit. Although if you are thinking about the fruit, Granny Smith are my favorite kind of those apples.) I’ve been a huge fan of Apple for a long time. Full disclosure: I even worked as a Mac Specialist at the Apple Store in Indianapolis for eight weeks in 2007. Although, it was so much fun, it’s weird to call it work. Anyway…Apple keynotes are some of the most well-planned events and presentations any business does. I have learned a ton from watching the late Steve Jobs in how he delivered presentations. But before those events and presentations happened, Apple would promote the event. Yet, they only promote the event officially one week out. That’s it. 7 days! Who can plan an event and get a ton of people to show up when you only give them one week’s notice?! Who can get people to wait eagerly online to see the video of the presentation and updates on their website when they’ve only sent digital invite pieces out to a select number of people and done so one week out?! Yeah. Apple. That’s who. However, that promotion method works because of mystery and expectation. Basically, from the time one presentation/event is done, rumors and speculation circulate all over the internet and social media as to what Apple will do next. People experience wonder and get excited, waiting for the official announcement while carefully studying all the various possibilities the rumor mongers spread around. What if I could tap into some of that to help build stability, excitement and growth in student ministry? I could! Why not? Now, I couldn’t just announce what we were doing one week out. Let’s be honest. As much as I love the ministries I lead, there’s not a whole lot of buzz on the internet or social media to get the kind of response Apple gets. However, what if I promoted an event and gave absolutely zero details about it? What if I simply said, “You don’t want to miss it!” Would students respond? I opened up the thesaurus and searched for words like weird, strange, fun, etc. I came up with “Wacky.” I searched online and was reminded of a classic tv show I used to watch reruns of as a kid: Wacky Races! Jason, our media arts specialist on staff, created a logo inspired by theirs for our now titled, Wacky Weekends! I picked five weekends with typically low attendance that I believe were more psychological than connected to people physically not being in our community. The first was Labor Day weekend. We had one of our highest weekend attendances that weekend this year for our first Wacky Weekend! Our second was this past weekend, Thanksgiving weekend. We were at or slightly above normal, much in part, I believe, to Wacky Weekend! Sidenote: I also realized early on that since we have services Saturday night and Sunday morning, word might get out and spoil the surprise for the Sunday morning crew. So, in our planning, we intentionally include either elements or a whole event plan that is different on the same weekend from Saturday to Sunday. Wacky! Okay, that’s the backstory to Wacky Weekend.